There's nothing worse than travelling with a heavy, overloaded pack or having to navigate uneven terrain with a bag that could fall apart at any moment. 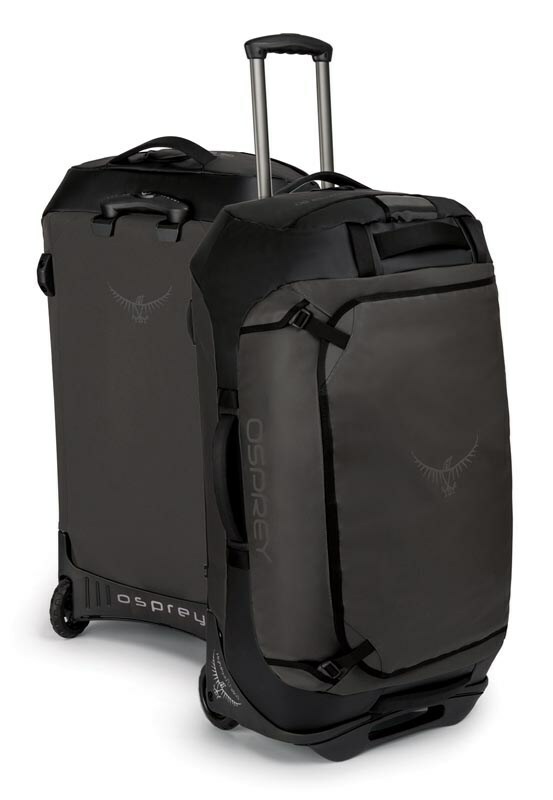 That's why Osprey has released its new ultra-rugged Wheeled Duffel, built for when the load gets too heavy to shoulder, or you need a sturdy luggage option that you can rely on. Its strength and durability comes from 800D TPU-coated nylon which is water-resistant, and has long-lasting YKK zippers with overlapping flaps, padded grab handles and dual internal compression straps. To top it off, the Wheeled Duffel also includes the all-important HighRoad oversized wheels, which allows the bag to roll smoothly over rough surfaces with ease. Three different sized volumes are available, and there are a range of colours to choose from. For interstate travel, or short getaways, the 40L bag is recommended. Longer trips that require more gear would be suited to the 90L or 120L. A warm jacket is an essential travel item for any well-prepared adventurer, and Vigilante's Revelstoke Jacket is exactly what you need if you're planning on heading outdoors in chilly weather.Engineered with an innovative design and intricate layering, the Revelstone features a Hydroflex softshell outer coated in a durable water-repellent finish, which not only prevents water seepage, but protects you from extreme weather elements and is much lighter than many other standard hardshell jackets.Other layers include a TPU windproof membrane built to ward off chill, and an anti-pilling fleece inner layer, for that extra bit of warmth. It's practical too, and all pockets feature waterproof zippers so you can keep your phone, gloves or snacks safely tucked away. There's even an internal pocket complete with a lens cleaner, should you need to give your sunglasses or ski goggles a tidy up.Light, flexible and super stretchy thanks to four-way stretch technology, the Revelstoke is the ideal jacket for activities such as hiking, skiing and snowboarding.Available colours include black and kalamata, so not only will you be warm and comfortable, you'll be looking stylish, too.